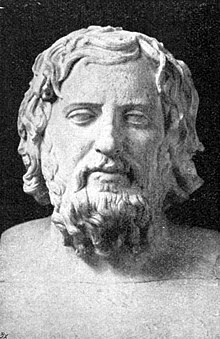 Memorabilia (Greek Ἀπομνημονεύματα) is a collection of Socratic dialogues by Xenophon, a student of Socrates. ὁρῶ γὰρ ὥσπερ τὰ τοῦ σώματος ἔργα τοὺς μὴ τὰ σώματα ἀσκοῦντας οὐ δυναμένους ποιεῖν, οὕτω καὶ τὰ τῆς ψυχῆς ἔργα τοὺς μὴ τὴν ψυχὴν ἀσκοῦντας οὐ δυναμένους. As those who do not train the body cannot perform the functions proper to the body, so those who do not train the soul cannot perform the functions of the soul. ὁρῶ γὰρ ὥσπερ τῶν ἐν μέτρῳ πεποιημένων ἐπῶν τοὺς μὴ μελετῶντας ἐπιλανθανομένους, οὕτω καὶ τῶν διδασκαλικῶν λόγων τοῖς ἀμελοῦσι λήθην ἐγγιγνομένην. Just as poetry is forgotten unless it is often repeated, so instruction, when no longer heeded, fades from the mind. To forget good counsel is to forget the experiences that prompted the soul to desire prudence: and when those are forgotten, it is not surprising that prudence itself is forgotten. Many who are careful with their money no sooner fall in love than they begin to waste it: and when they have spent it all, they no longer shrink from making more by methods which they formerly avoided because they thought them disgraceful. As athletes who gain an easy victory in the games are apt to neglect their training, so the honour in which he was held, the cheap triumph he won with the people, led him to neglect himself. If you clap fetters on a man for his ignorance, you deserve to be kept in gaol yourself by those whose knowledge is greater than your own. Should not every man hold self-control to be the foundation of all virtue, and first lay this foundation firmly in his soul? For who without this can learn any good or practise it worthily? Or what man that is the slave of his pleasures is not in an evil plight body and soul alike? From my heart I declare that every free man should pray not to have such a man among his slaves; and every man who is a slave to such pleasures should entreat the gods to give him good masters: thus, and only thus, may he find salvation. “Now, don’t you think it disgraceful that a man should be in the same plight as the silliest of wild creatures?" If we wanted a good friend, how should we start on the quest? Should we seek first for one who is no slave to eating and drinking, lust, sleep, idleness? For the thrall of these masters cannot do his duty by himself or his friend. It is a disgrace to grow old through sheer carelessness before seeing what manner of man you may become by developing your bodily strength and beauty to their highest limit. But you cannot see that, if you are careless; for it will not come of its own accord. Though pleasure is the one and only goal to which incontinence is thought to lead men, she herself cannot bring them to it, whereas nothing produces pleasure so surely as self-control. The delights of learning something good and excellent, and of studying some of the means whereby a man knows how to regulate his body well and manage his household successfully, to be useful to his friends and city and to defeat his enemies—knowledge that yields not only very great benefits but very great pleasures—these are the delights of the self-controlled; but the incontinent have no part in them. For who, should we say, has less concern with these than he who has no power of cultivating them because all his serious purposes are centered in the pleasures that lie nearest? Whatever it befits a gentleman to know he taught most zealously, so far as his own knowledge extended; if he was not entirely familiar with a subject, he took them to those who knew. He also taught them how far a well-educated man should make himself familiar with any given subject. For instance, he said that the study of geometry should be pursued until the student was competent to measure a parcel of land accurately. ... He was against carrying the study of geometry so far as to include the more complicated figures, on the ground that he could not see the use of them. ...He said that they were enough to occupy a lifetime, to the complete exclusion of many other useful studies. Similarly he recommended them to make themselves familiar with astronomy, but only so far as to be able to find the time of night, month and year. ... He strongly deprecated studying astronomy so far as to include the knowledge of bodies revolving in different courses, and of planets and comets, and wearing oneself out with the calculation of their distance from the earth, their periods of revolution and the causes of these. Of such researches, again he said that he could not see what useful purpose they served. He had indeed attended lectures on these subjects too; but these again, he said, were enough to occupy a lifetime to the complete exclusion of many useful studies. He also recommended the study of arithmetic. But in this case as in the others he recommended avoidance of vain application; and invariably, whether theories or ascertained facts formed the subject of his conversation, he limited it to what was useful. ἄριστα μὲν γὰρ οἶμαι ζῆν τοὺς ἄριστα ἐπιμελομένους τοῦ ὡς βελτίστους γίγνεσθαι, ἥδιστα δὲ τοὺς μάλιστα αἰσθανομένους ὅτι βελτίους γίγνονται. They live best, I think, who strive best to become as good as possible: and the pleasantest life is theirs who are conscious that they are growing in goodness.